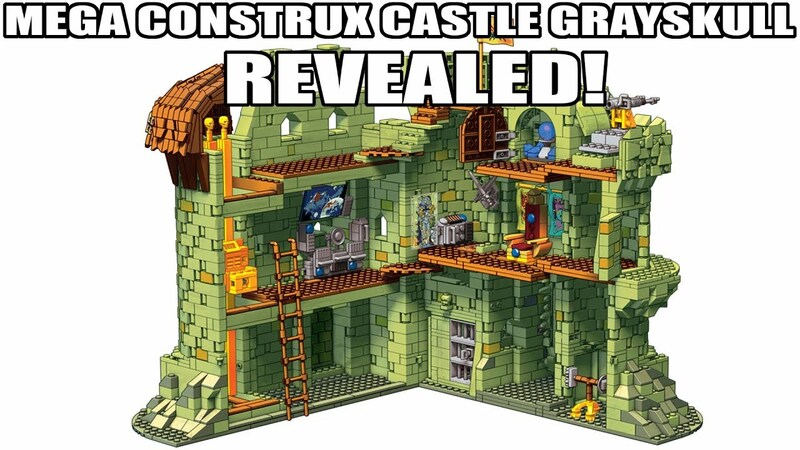 Castle Grayskull was built to protect an unknown source of power - and now you can too! Discover all of Grayskull's mysteries when you assemble more than 3,600 pieces to recreate this authentically-detailed and completely faithful castle. Grayskull opens wide to reveal working weapons and launchers, a throne room with surprises, working elevator, and drawbridge that opens and closes. This collectors set also includes 6 micro action figures: He-Man, Skeletor, Man-at-Arms, Teela, Beast Man, and the exclusive Sorceress! Ideal for ages 10 and up. Things are looking good thus far. I haven't bought any of the mini-figures yet, but I think this is what is finally going to push me into buying these toys. Cool looking castle, but that price-point is pretty high for me. I know Lego is expensive too, but spending around $250 US on that is a bit much. Tremendously more information here, including front images. Now up for preorder on BBTS with a release date of May: Clicky.